The Motorola conditioning charger features Fault Detection technology that detects faulty batteries in seconds. Each unit rapidly chargers NiCd and NiMH batteries and optimizes battery performance. Its patented negative pulse charging process minimizes overheating and overcharging, extending battery life. Batteries can be left on the charger for extended periods of time, without worry of heat buildup. 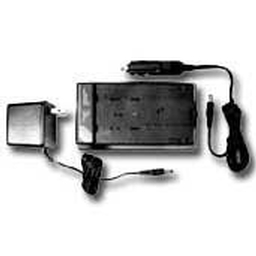 This 110-volt AC charger kit includes a single-unit base and 7-volt adapter plate. Optional accessories allow the charger to be used in AC or DC environments.